Fire disasters can be extremely devastating. It can destroy an entire building along with all the belongings inside. Therefore, you should try your best to always keep yourself well-protected. 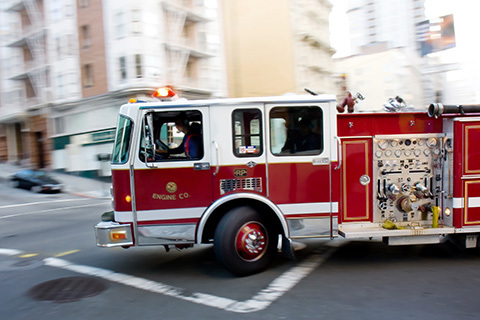 One of the best ways to avoid an emergency like this is to invest in a good fire alarm. It is crucial to take care of the fire disasters and try to prevent especially if you are running an office. You should remember that this is your responsibility to take care of your employees and ensure that your client information is also safe with you in your commercial space. It can all be lost due to a single tragedy. We, at MMJ Electric, can provide you with a high-quality commercial fire alarm that will ensure your safety at all times. Every employee will be assured of their safety at the workplace and continue to double their productivity. So, if you are located in areas like Davie FL, Fort Lauderdale, Light House Point, Parkland, Pompano Beach FL, or Sunrise FL, you can resort to us. Here, we have put together a few of the important things to check before you choose a company for your fire alarms. Take a look. First of all, you should check if the company can help you install the fire alarm along with offering it for sale. Or else, you will have to bear the trouble of finding another company for installing it. An alarm system is also another machine. So, it is natural that you will also require repairing or maintaining it from time to time. So, you must check if the company you are considering can also providing alarm system servicing. You must want a high level of protection so that you can eliminate as much as risk possible. So, you need to check that if all the latest updates and modern features are present in your system. So, if you think we can be a good choice for you after checking such elements, get in touch with us now.